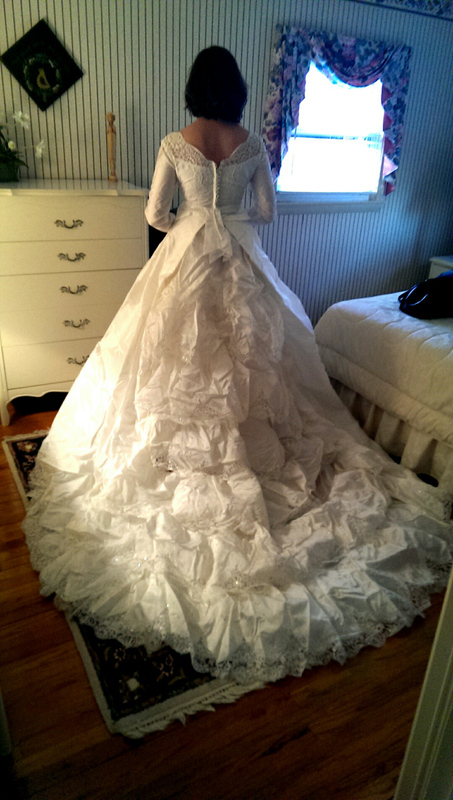 We couldn’t have been more delighted to restore this beautiful and unique vintage gown. 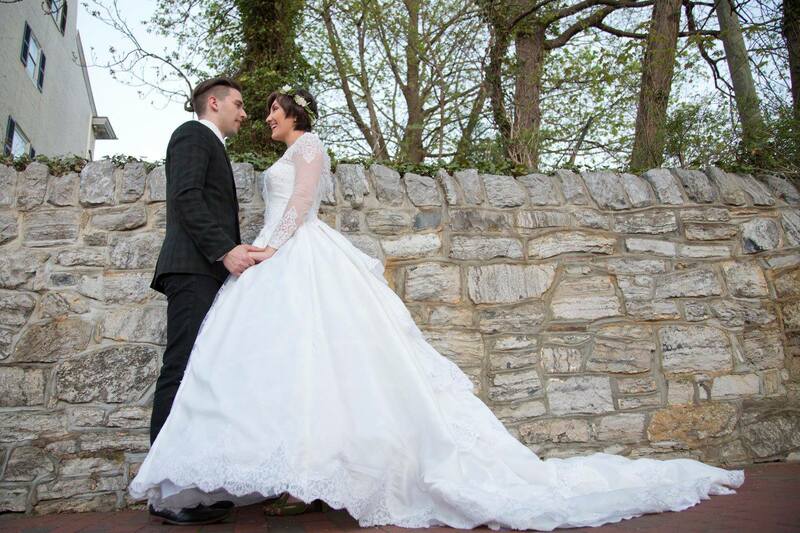 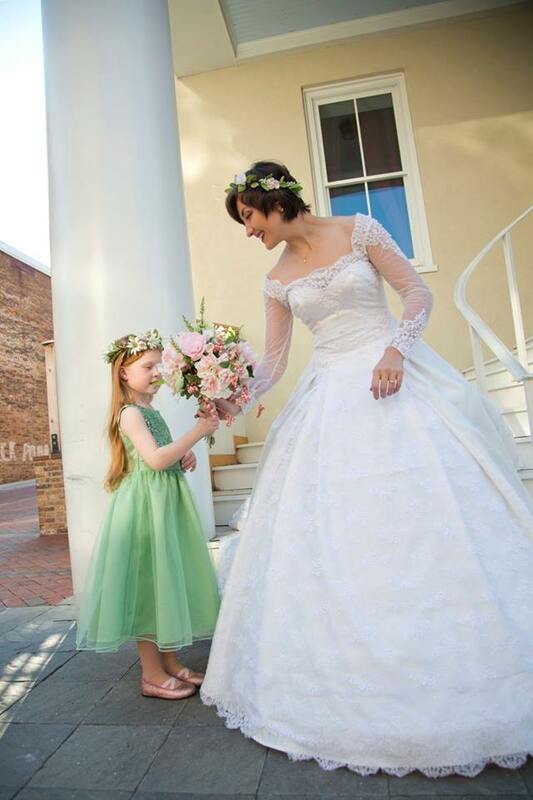 As if it couldn’t get any better, this sweet customer sent us photos a year and a half later, after her wedding, showing the gown in its full glory. 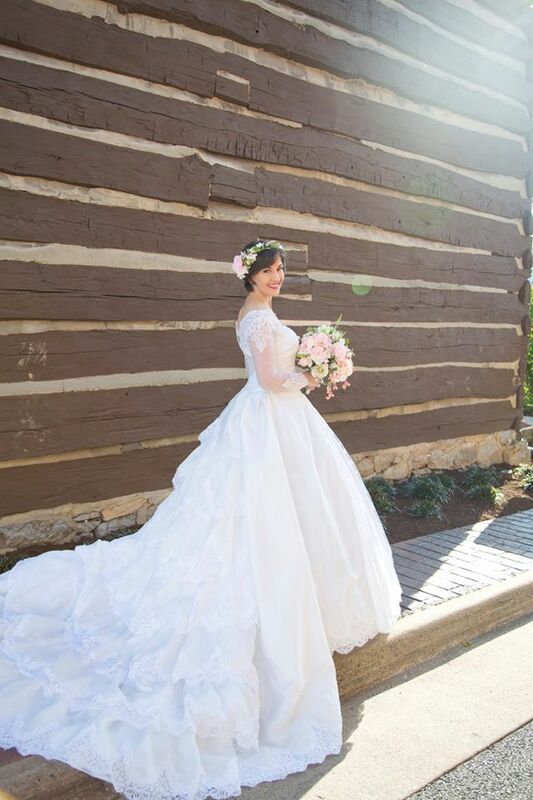 It was a pleasure making this vintage dream dress come back to life for such a special occasion! 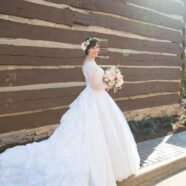 It’s been about a year and a half since you cleaned my dress for me, but I finally finished it and got married, and I wanted you to see how it turned out! 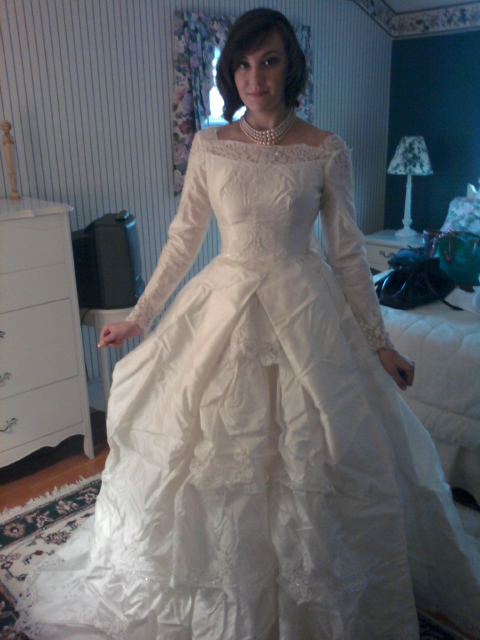 Two of the pictures are what it looked like before I sent it to you, and the wedding photos show it all pearly white, clean, and altered.